Is your social media daily diary in need of disruption? There are so many great social media sites, with real potential for building engagement on each one, it would be easy to be overwhelmed by the amount you need to do. I recommend setting up a diary or calendar for keeping track of what you need to do. 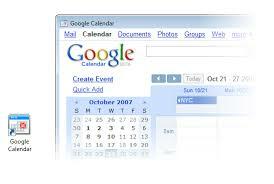 I use Google Calendar. It's free if you have a Google account and it even emails you when you should start an activity. It also allows you to repeat activities at any interval, which saves time having to write it all in your diary each week. Everyday: Check Twitter & respond to any personal Tweets (via Tweetdeck) & check Facebook & respond to any posts of interest. So, I'm posting each week on 3 blogs and contributing to Twitter, Facebook, Goodreads, LinkedIn and Google+. That's 3 blogs and 7 communities or groups on 5 social media sites. I was on more, but the above stretches me enough! Do you think I am doing to much? 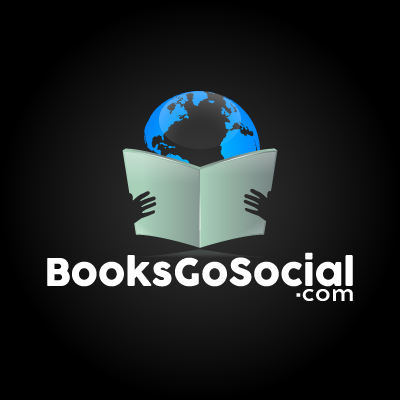 Consider that I am a social media consultant and an author with books to promote. And here's another question; what will we be doing in 10 years? How many of these sites will still be here or will they be managed in one place, more easily? Will we end up doing it all through a new version of HootSuite or Tweetdeck or something else, something new? I would give a new service a try if it allowed me to shift easily between communities and post at the optimum time and day, automatically, for my my responsive followers. Anybody know of such an app? Social media is useless and dangerous? Social media detractors focus on the negatives. They remind me of newspapers printing stories about car crashes. And keep this in mind, 32,000 people died in the US in car crashes in 2011. 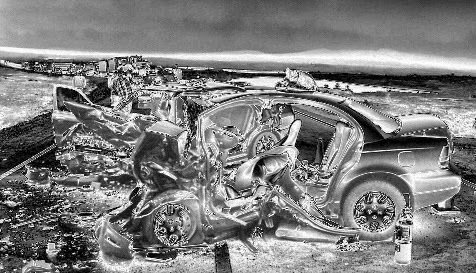 So car crash deaths are serious, ongoing and devastating, and at about that level since the early 1930's. But social media isn't as dangerous as that, is it? No, not yet! But there are lesser dangers about cars, which remind me of stories about social media. Stories about the amount of time being wasted driving around in cars, and the danger of sexual adventures in the back seats and the people who die after being kidnapped hitch-hiking. You don't often see stories about how useful cars are, do you? Similarly, social media could be attacked as being useless, because of the amount of time being wasted on it (billions of hours a day), the lack of real return on this investment in most cases and the dangers of meeting psychopaths. And social media murders are becoming common. Women get murdered by people they meet online. Not often, but it's increasing. That's scary. And you can't say it would have happened anyway, because that's simply not true. The online world provides opportunity for predators. Does this mean we are going to stop driving cars and using social media? Yeah, right! But it does mean that you'll see more stories about its dangers. And someone will start tracking the deaths due to social media soon, I am sure. And I don't expect people who are against social media to change, nor should you. The people who wanted us to go back to the horse and buggy didn't change their minds, they simply retired, got fired or died off. There's no holding this wave of change back. The dangers and the lack or practical benefits for many are simply swept away in the billions of conversations, the redrawing of relationships and the laughter at funny cats. We are human. We are social. We are social media. Click here to order my new novel, The Manhattan Puzzle, out Oct 10, 2013. 1. Improve your product or service by listening and responding to negative sentiment or suggestions posted on all relevant social media channels. People who say negative things about you may have something valid to say. Why not listen to them, examine their issues, and fix them as soon as possible? A responsive firm fixes things. And most customers are aware that some things take time to fix too. As long as they know something is genuinely being done many people will accept the situation until then. 2. Ask people to recommend or retweet or re post something from you. People talk about "who promotes you scores" as a key metric for understanding customer loyalty, but the percentage who are willing to take action to recommend or retweet should be an important figure too, as it’s not about stating your intentions, it’s about taking action. You may say you will “promote” a service, but not actually do it, for instance. I suggest actions speak louder than words. Watch such metrics and compare them to your other satisfaction metrics to see if they correlate. 3. Offer updates & special offers to people who sign up to receive posts or Tweets. By making people feel part of a community in some way you will increase engagement and loyalty. Highly engaged customers become advocates too. A high percentage of them will recommend you to others. Your Facebook page can provide special offers and your Twitter & LinkedIn posts can too. You can also make these offers and updates local by getting each of your branches or divisions to take part in this campaign so that customers build relationships with their nearest branch. 4. You can track if customers achieve their objectives using your product or service using social media. You can do this buy asking them direct questions, via surveys/posts, and by monitoring any replies/posts they create on the subject. This is being proactively interested in how your customers use your service/product. You may only be able to do this with a select group of customers, but the lessons learned should be applicable to all similar customers. This is a critical issue to ensure customers place the maximum amount of business with you. And if you are afraid to ask the hard questions then your business will eventually have big problems. 5. Communicate the benefits of your product or service, not just the technical features. This is an old adage salespeople use. Sell the sizzle not the steak. It’s true for social media too. Don’t focus on how to get button A to perform service B. Tell people how service B will benefit them. Then tell them how to get it to work. Focus on the practical benefits and the emotional benefits, how happy people will be, how safe they will feel, what pleasure your service will bring, and you will have built something truly appealing to people. Loyalty is fast becoming a key metric for social media teams. How many retweets, posts, photographs and comments people contribute on a daily basis is one measure of loyalty. How that compares to your overall number of customers and followers is another. But there are deeper measures of online loyalty too. How often are people coming back to each social media channel? And are people using many aspects of your social media? For instance, are they posting pictures to a Facebook wall? Some highly loyal people contribute in a truly significant way to sites, such as editors at Wikipedia, and some major self-supporting software forums such as Minecraft's. When you talk about customer loyalty you need to define what you mean too. What percentage of your client's business in your area do you need to call that client loyal? By considering online loyalty and the customer viewpoint, not simply internally derived metrics, you will come closer to the reality of how loyal your customers really are, both online and off. And that’s one of the best things about social media. You can get feedback faster and in a more easy to manage way. And you can decide, fast, what to do about it. No more waiting months for the results of a survey. I hope you enjoyed the post. What do you think helps build customer loyalty in an online world? Engagement is about building relationships. It’s also about the quality of relationships you have. And it's about giving back. The basics of engagement are responding to people, being real, being human, helping and not taking it all too seriously. If you think about engagement in any social situation, listening as well as talking, telling anecdotes, little secrets, having fun, those are the same things you can also do in social media to drive engagement there too. 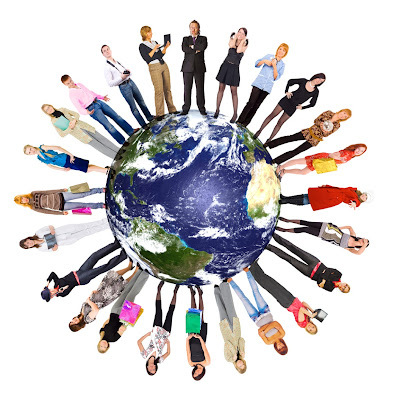 Social media is still a part of our world. And social media is as complex as the world we inhabit. Whatever you like to do, whatever your business is, wherever you live, with almost no exceptions, there will be a specialist social media site catering for your interests. If you don’t believe me look up your interests combined with your city or nearest town in Google or another big search engine. You will find a lot of sites. Birds of a feather flock together. Diamond merchants flock to certain streets in certain cities, all world class wrestlers to the Olympics and all followers of Game of Thrones to its fan sites. It would seem obvious then, that if you are selling diamonds, wrestlers outfits or Game of Thrones merchandise that you will stay in regular touch with and participate in the communities that are growing up around most niche interests. You will find that others who are like you in their interest or beliefs will be more likely to follow you or be part of your community. And I’m not saying that you must stick exclusively to your own group. I do think we should all be open to mixing with people of widely different interests. All I am saying is that when you are looking for engagement, it is a good idea to look first among people who have similar interests. Some people wonder how to increase their numbers on Twitter. Twitter is designed as a social network where you follow people and people follow you back. A percentage of the people you follow will always follow you back. And if they don’t follow you back within a few days you are within your rights to unfollow them. If they don’t want to see your Tweets then it is reasonable that you stop seeing theirs. If you are a celebrity or have a relationship with masses of people or you’re a big brand, you should get follows by simply letting people know what your Twitter name (or “handle”) is. For the rest of us, following people and posting interesting Tweets are the main ways to increase your followers. The number of people you follow each day depends on how much time you want to spend on Twitter and how many followers you have now. I recommend following small numbers each day (20-30), and unfollowing regularly people who don’t follow you back. You will be able to follow more people later on, as the number of people who follow you increases. I can follow 20 people in 30 seconds, so this is not time consuming stuff. On Facebook it’s all about knowing people first, for personal profiles. People consider is bad form to try and friend them on Facebook if they don’t know you. This is the opposite to Twitter, where people who don’t know you are almost always happy for you to follow them. You can Like “pages” on Facebook however, as these are the public messages of the people or organisations who create them. Pages are not personal profiles. You can create your own “page” for any project, work, role or cause you want and detail the progress of the project through posts about that subject. I enjoy Google+ because of the amazing images and great social media and technology information and communities I find there. A lot of the people I find on Google+ fall into these areas of expertise. If you are in a business to business environment LinkedIn is the obvious social media choice for you. I have over 1000 contacts on LinkedIn and I know that every time I spend time on it I get a response from people. But the majority of my engagement is still on Twitter, where I get immediate worldwide feedback on a minute by minute basis to my posts. With Facebook and Twitter and on all other social media sites it’s all about what you give back to your community. Think about what you can teach people, what skills or experiences you can share and you will be on the right track. Consider providing a support service around what you do. Is there a way you can build a community page on some aspect of this?